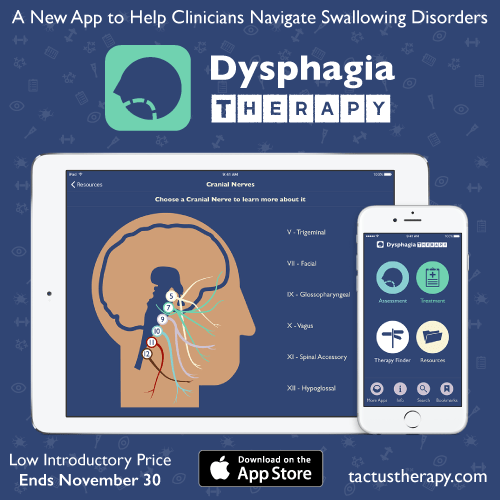 We have come across this exciting new app called Dysphagia Therapy to help navigate their options for managing and rehabilitating swallowing disorders. This app in now available for iPhone and iPad. The app has been designed to become an indispensable tool for speech-language pathologists helping adults overcome disorders of deglutition. Find out more at Tactus Therapy.